Another Saturday Night and You’ve Got Faded Jeans! | Faded Jeans – Arizona's Party Band! ← Working for the weekend! Another Saturday Night and You’ve Got Faded Jeans! Greetings again, folks! We’ve been craving great Irish food, drinks and partying since the Irish-est month of all (last month). 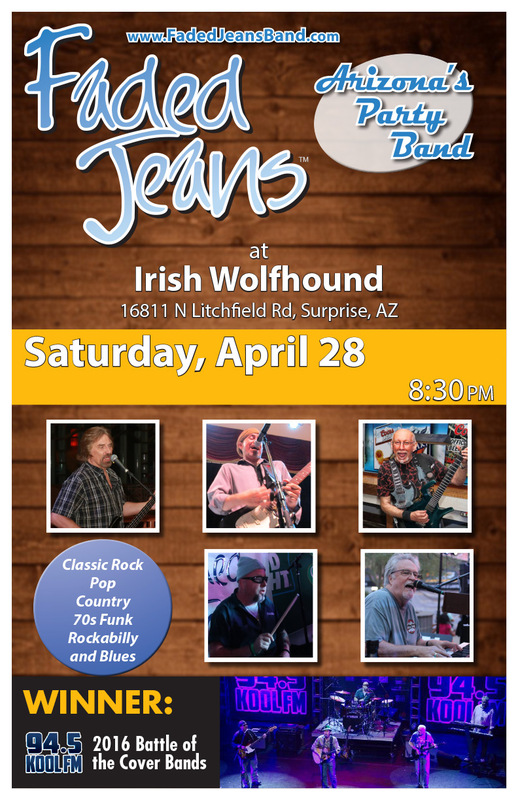 Lucky for us, we’ve got the Irish Wolfhound on tap for this Saturday night! Saturday, April 28, 8:30 p.m.